I was buzzing about my favorite social media AKA Instagram when I caught sight of an adorable cork bottle necklace. It gave me a phenomenal "mad scientist" idea! 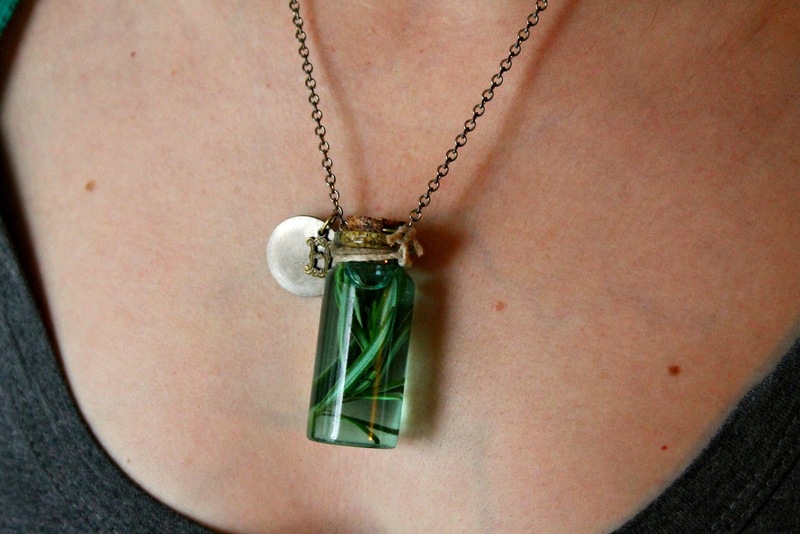 The idea is to create a personalized terrarium necklace full of things that make you happy. How you compose your little terrarium necklace is your prerogative. The necklace is absolutely adorable and took a whole 15 minutes to make! The best part? It can be 100% Eco-friendly. All materials I used were literally lying around my home. In order to achieve Eco terrarium success, you will have to use your creative wit and search for your own re-usable materials! 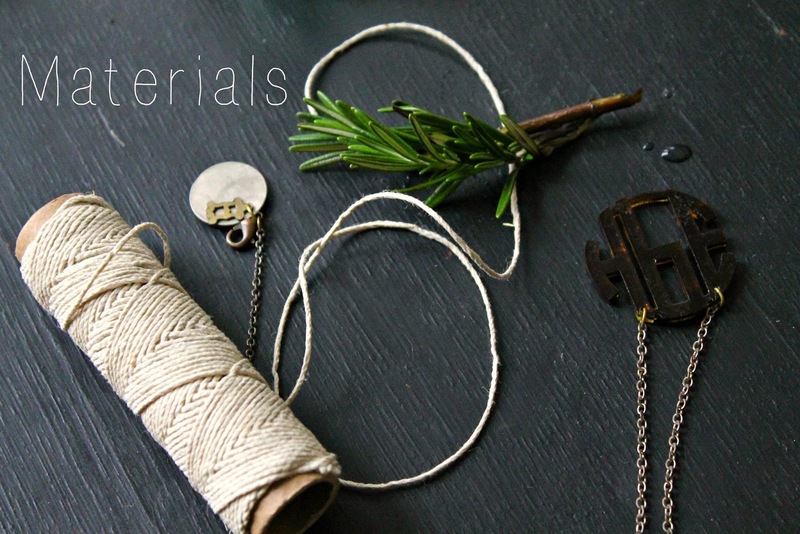 Let me get your creative juices flowing and demonstrate how to make a DIY Eco terrarium necklace. First, fill your tiny bottle with fresh herbs or anything your soul desires. I used a fresh sprig of rosemary. 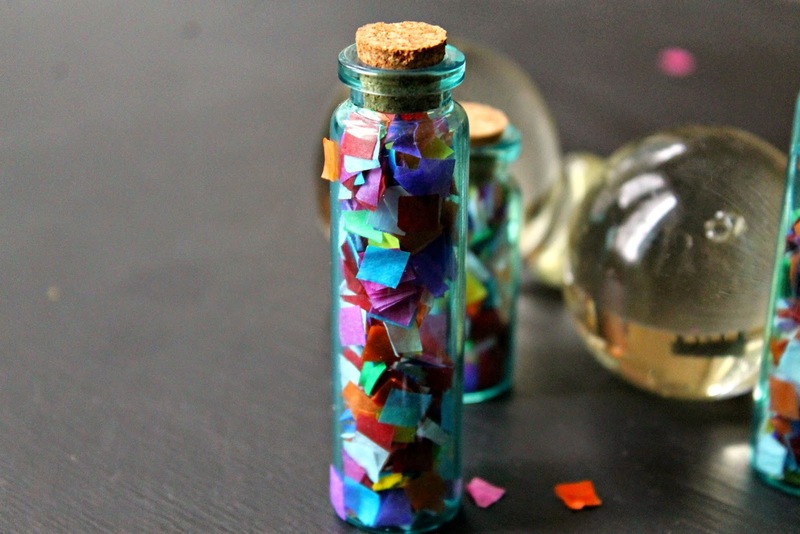 You could use something like confetti in a bottle. As you can see, confetti looks fabulous too! Then, I filled my bottle with oil to cover the rosemary. 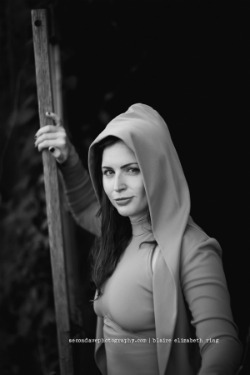 I also added two drops of Organic peppermint essential oil, because rosemary and mint are a classical combination. Next, find an old necklace or two to disassemble. Open the metal ends with a knife or pliers. Push the open metal ends into the cork. Next, take your string and tie it to the bottle then tie it to the metal in your cork x 2 for both sides. The idea is to make sure your cork is completely secured. You don't want the cork and oil flying everywhere during an inconvenient moment! The last part, is to attach a small personalized adornment. I chose a small metal monogrammed adornment that I removed from an old necklace. There you have it! 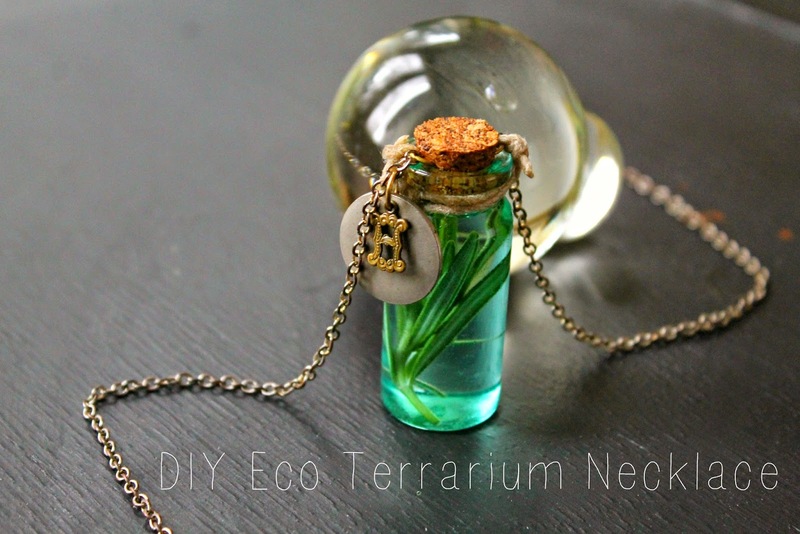 An adorable Eco terrarium necklace of your own creation! 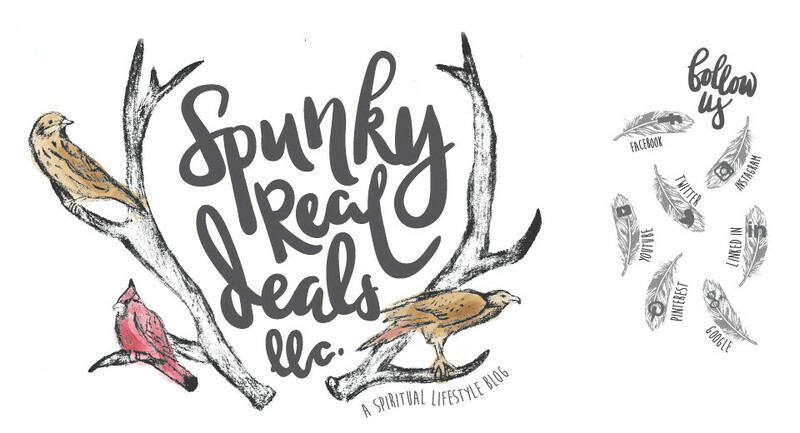 Good luck my creative Eco divas! Until then, I am dreaming of tulips and Spring. XO.